OMG, this is just awesome. what a coincidence. i just posted one of Sofia Coppola’s ads on my own blog. i wish i could live in one of her films or Dior ads. even if it meant i’d be beheaded. all the pastriiieeeees! Thanks 🙂 Oh it would be so amazing to live in one of her films! 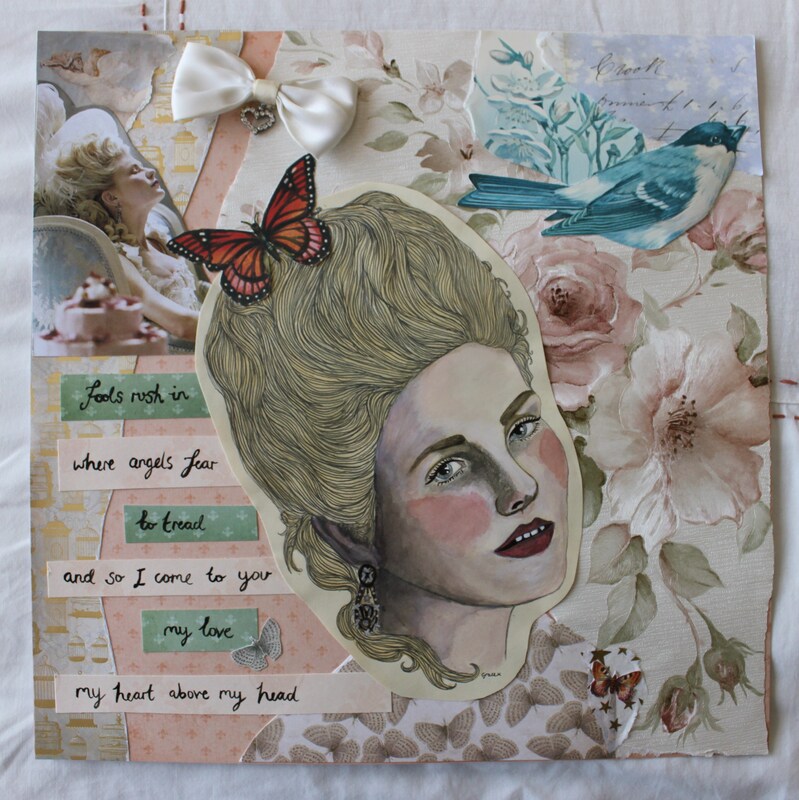 I love all of your inspirations for these collages. Great work! You are incredibly talented — these are haunting and evocative and ethereal, all at the same time! I love scrapbooking! There is so much that you can do with it and it is a relatively inexpensive medium. Nice work! Wow, absolutely beautiful! 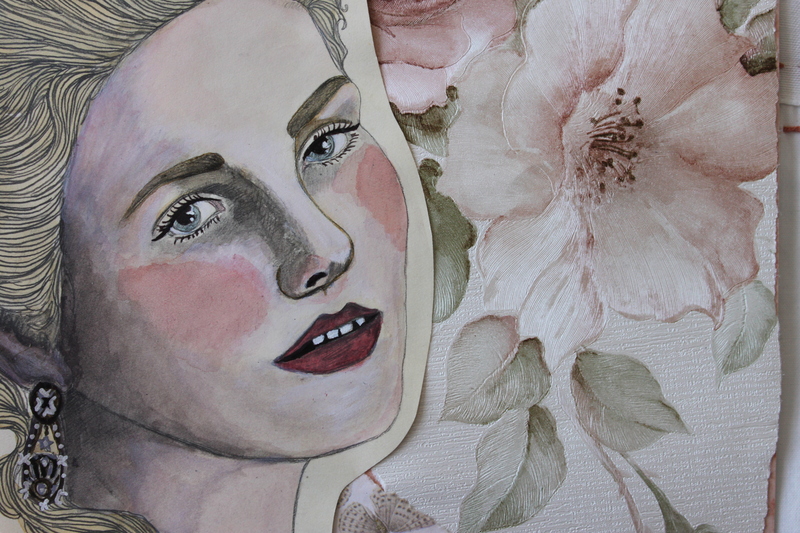 You really captured a lot of the textures and feeling of Marie Antoinette. You’ve definitely captured the look of the film! 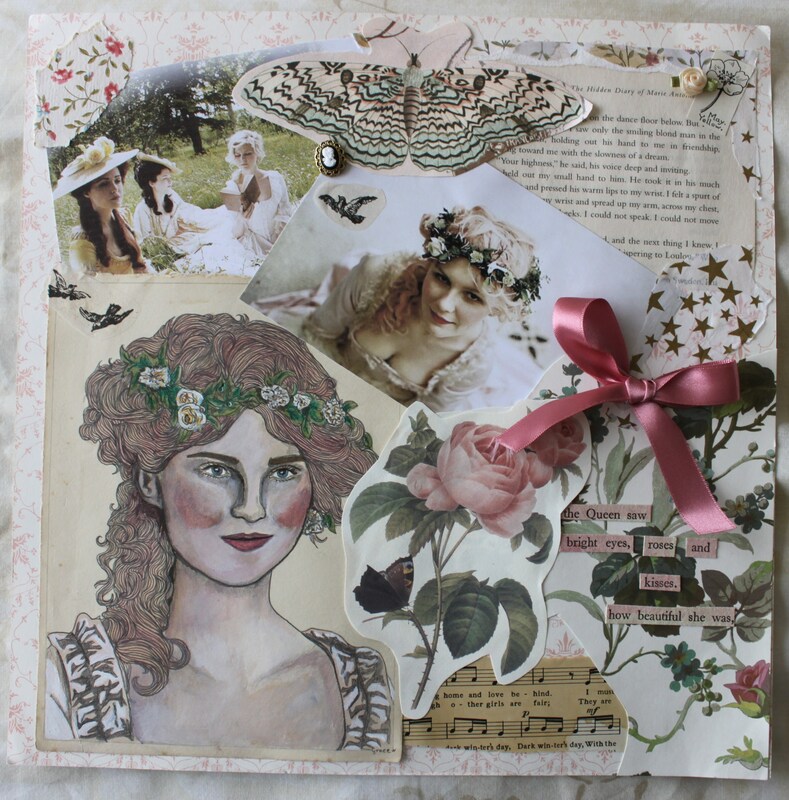 Gorgeous collages, well done! These are beautiful! Love your work! Beautiful! We artists know we simply must create to be fulfilled! Beautiful! These fit the tone and imagery of her work perfectly. I’m not always a fan of hers, but I LOVE these illustrations. Wow. Love these. Lots of texture and detail. These look so great…Especially Marie Antoinette. Very nice. I’d love to see what you would do for Lost in Translation and Somewhere? Beautiful!!! My Grandmother was artistic like you and I could sit and look at her work for hours. Thank you for sharing and reminding me of such awesome memories. Thank you! Wow the details in the hair…great work! Visiting the Palace of Versailles was probably my favorite part of my whole honeymoon. It was the most exquisite environment I’ve ever seen. these are beautiful the tonality and imagery are stunning! The arts are great and i love it all. wow these are wonderful and whimsical! These are absolutely beautiful. The amount of effort and work that must have gone into making these…. wow. I wish I was as talented. These are so beautifully done! 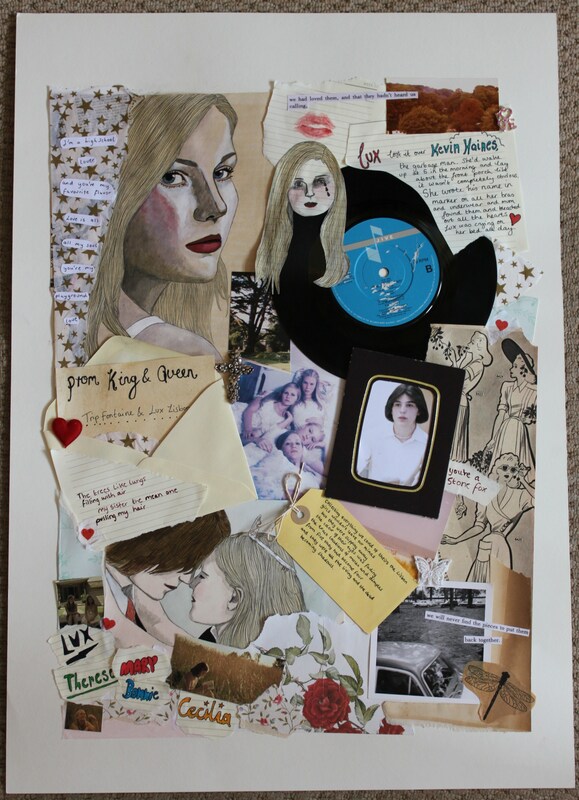 Absolutely stunning… i love her work(The virgin suicides is epic!! )…the tonality and the shades are amazing.keep up the good work!!!. great collage … you are an artist! You have a very beautiful blog. I love your vintage style and art (especially hand-drawn and painted) so I subscribed! Movies are also very inspiring to me, too. Keep up the good work! Please please please do Lost In Translation. Also, do you sell any of your work? PS Your eye for composition and color and layout is pleasing to these eyes. Wow! These are amazing! It’s so artistic and detailed! Both are my favorite Sophia Coppola movies and they are great tragic characters. Very well done! 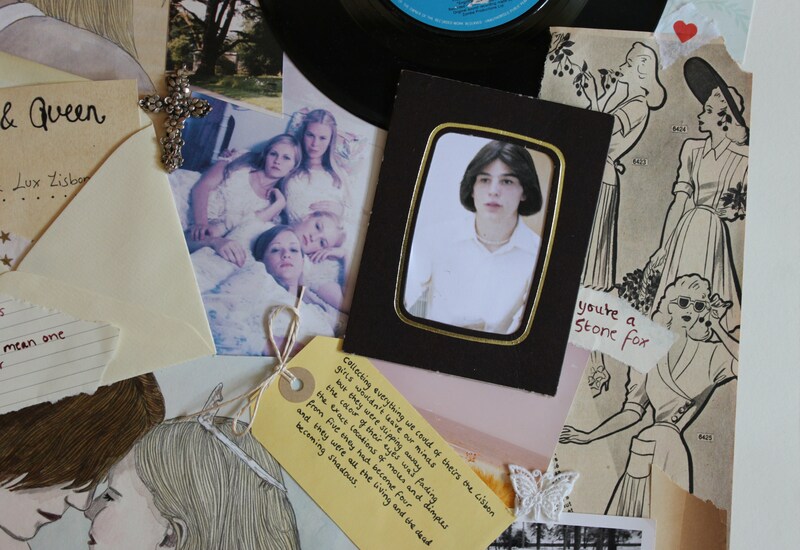 Lovely, evocative collages. You’ve made me curious to see the film, which didn’t attract my attention from its advertisements or press. Ms. Coppola should hire YOU to promote her films! I’m actually living in Versailles right now! It’s crazy. I need to re-watch Marie Antoinette, as it’s one of my favorites and now I–without even trying–ended up living here! Life is crazy like that! Hopefully I keep my head about me. I have been a big fan of the film, Marie Antoinette since it came out. visited Versailles a couple years ago and it deepened my appreciation for the woman, her life, the unfairness of her story. There is a monument in downtown Paris on the spot where she lost her head, and it is touching that the French continue to appreciate her, despite some of the things that were said about her. You go to Paris, you take the short train trek to Versailles, and you stand on the edge of the garden and you see what she saw when she stood there. There is also a small garden tucked away on the grounds that she commissioned to look like an Austrian village. She took her children here to play. It, too, is beautiful in its contrast to the formal gardens elsewhere on the estate. I did not like the palace, and especially disliked most of the art in the palace, but the grounds are spectacular. I Love the collages, they each tell a story that is very touching, Simple, yet beautiful. Would love to see more of your work. 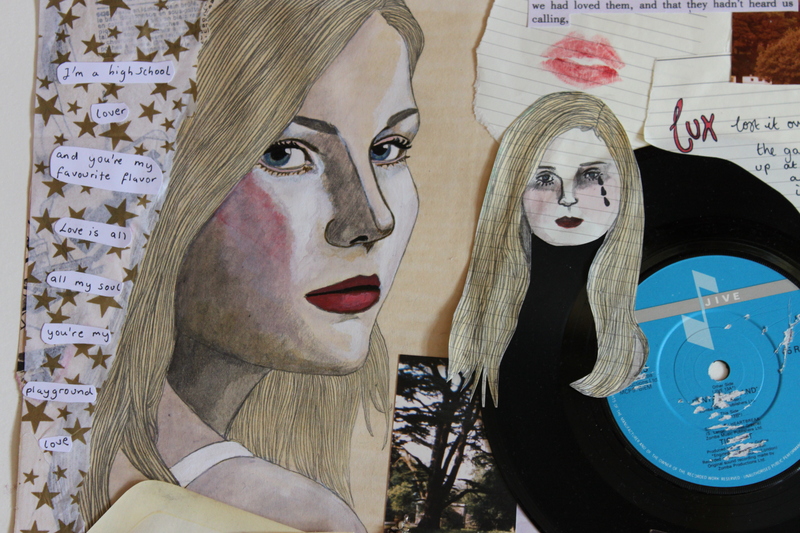 Simply stunning – you have beautifully captured the magic of Sofia Coppola’s films in collage form. You are very talented! Wish I had the talent to do something like this. 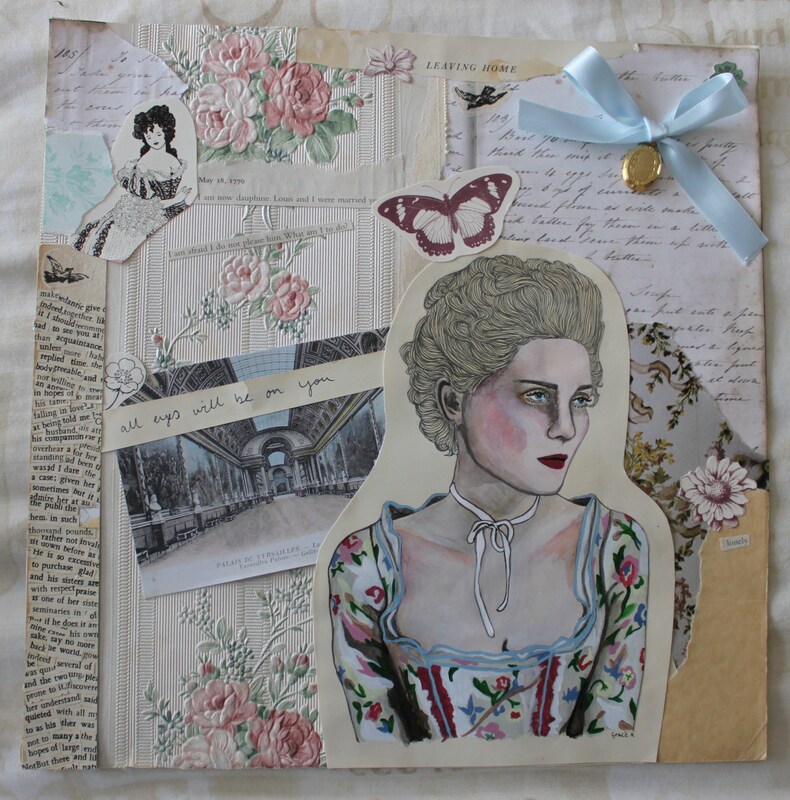 i just stumbled upon your blog – these are absolutely gorgeous! These are beautiful. I can’t wait to your interpretation of Lost In Translation. I love that movie! Wow!! 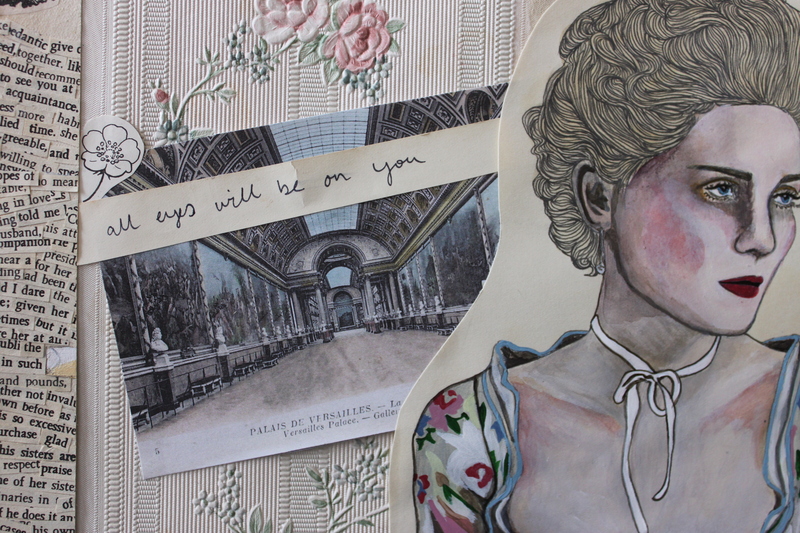 Your collages are so beautiful, I would stare at them all day… will prints be available in your ETSY Shop? Very pretty and ethereal, great work! Lost in Translation is one of my all time favourite films, there’s so much beautiful imagery. I’m sure it’ll come out really well! I loved the Marie Antoinette movie and I can never get those costumes out of my mind! Great work! 🙂 Thank you for sharing! … following your blog. WOW! you have such a talent, these are amazing! This are amazing. quite talented, keep up the good work!